If It's Hip, It's Here (Archives): The Religion of Bruce Bacca. Based On Die Hard, Bruce Willis & A Chewbacca Mask. The Religion of Bruce Bacca. Based On Die Hard, Bruce Willis & A Chewbacca Mask. First off, I realize I've recently posted many things related to Star Wars. It's just a coincidence and no, this is not a Star Wars blog (although I am a huge fan). That said, thanks to Upper Playground, I have learned about this very unique experience taking place in San Francisco, opening tonight and continuing through December 26th. 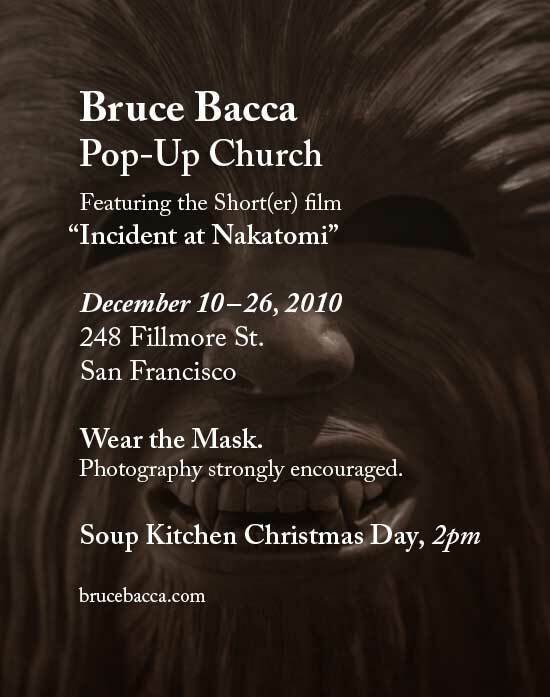 Friday December 10th at 7pm marks the opening of the Bruce Bacca Pop-Up Church, a unique artistic ideology by Alexander Tarrant, at 248 Fillmore St., San Francisco. 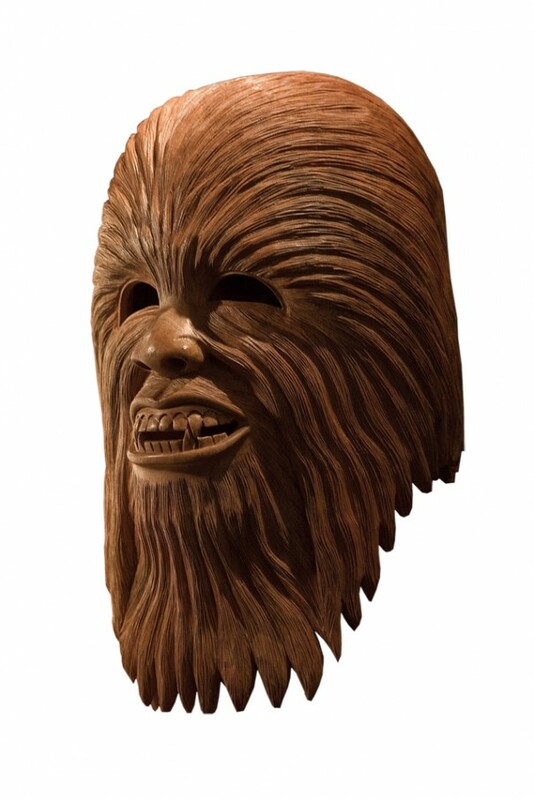 Like the earth itself, it took 7 days to construct this church and it’s vague system of beliefs based on the 1988 film Die Hard, it’s mythical leading man Bruce Willis, and an exquisitely carved wooden Chewbacca Mask (shown below, courtesy of the Citrusreport.com). Churchgoers will want to bring their cameras to capture the moment they walk the carpeted broken glass gauntlet, wear the wooden mask, and become an indoctrinated member of this temporary system of worship. above: Bruce Willis in the 1988 action flick, Die Hard. 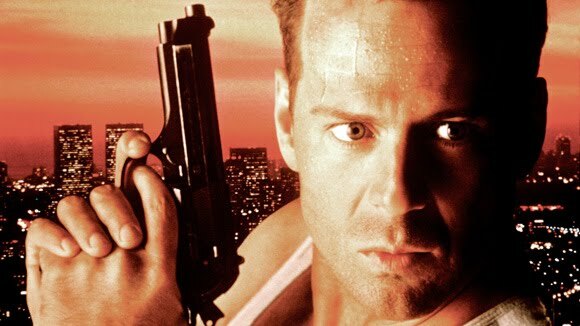 Following the dry baptism, available for $10 is the short(er) film “Incident at Nakatomi” – a pious remastering of the classic film Die Hard (1988) in which the image and voice of Bruce Willis has been completely removed. The resulting film is introspective and thought provoking, yet still contains enough explosive excitement to keep even the most discerning action fan satisfied. The church will be open from December 10th – 26th, and will be performing the civic duty of holding a soup kitchen on Christmas Day.